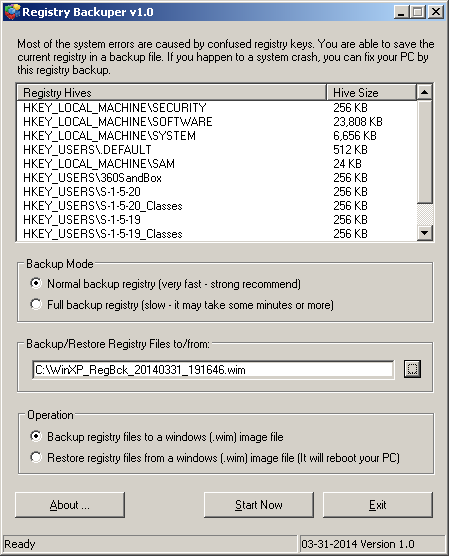 Registry Backuper is a freeware product, this means that you can download and use it for free. Anyway we will appreciate contributions: we will use collected money to finance new development of Registry Backuper. Copyright © 2014 PCCareTools Software. All Rights Reserved.